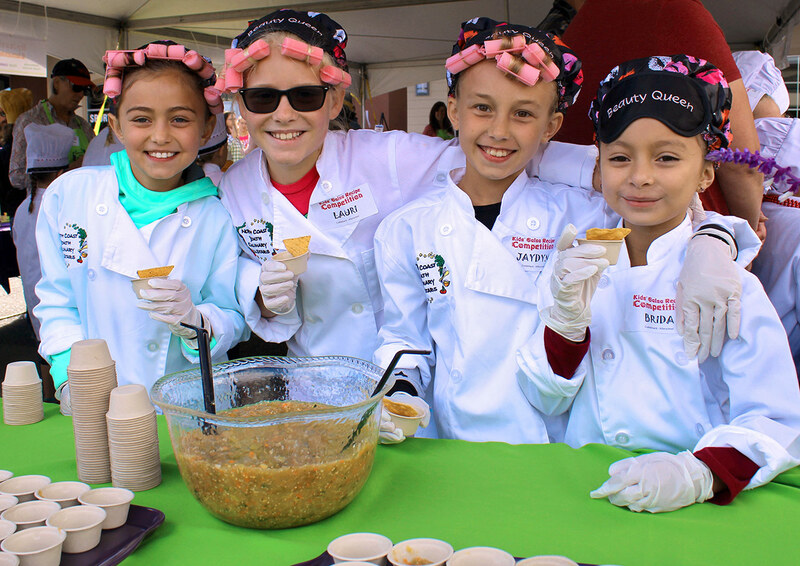 After-school students in grades 3-6 form teams of four to create flavorful salsas in this competition held each October. The event is part of the Humboldt County Office of Education’s nutrition education program. It provides opportunities for students to not only learn about the importance of eating local fruits and vegetables, it also provides those with an interest in culinary arts a unique opportunity to partner with some of the finest chefs in the County. Weeks prior to the competition, teams from each school spend time with a designated mentor chef to learn culinary basics and expand their taste palates, while also using creativity to develop a salsa recipe made with local fruits and vegetables. Teams then compete for awards in many different categories including Taste, Presentation, and Use of Local Produce. Once the salsas are judged by local experts, the community is invited to taste and determine their own favorite for the coveted People’s Choice Award.